Dr. Clarke, a native of Jamaica, received a BS in Zoology at Howard University in 1970 and completed Postgraduate Training in Microbiology at Howard University in 1971. She stayed on at Howard to complete her training as a dentist in 1976 when she was awarded a Doctor of Dental Surgery degree. 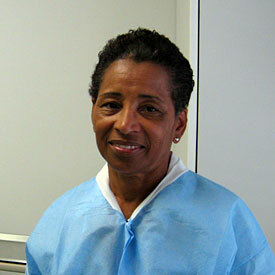 Dr. Clarke is licensed to practice dentistry in Maryland and Washington DC. She joined Advances in Dental Care in 2005 and has been busy practicing in DC since 1977 until that office was recently closed. Additionally, she was a part-time Clinical Instructor at Georgetown University, College of Dentistry from 1980-1986 (Endodontics, Periodontics) and has served as a clinical consultant at United Healthcare since 2000. Dr. Clarke is a member of the Robert T. Freeman Dental Society.